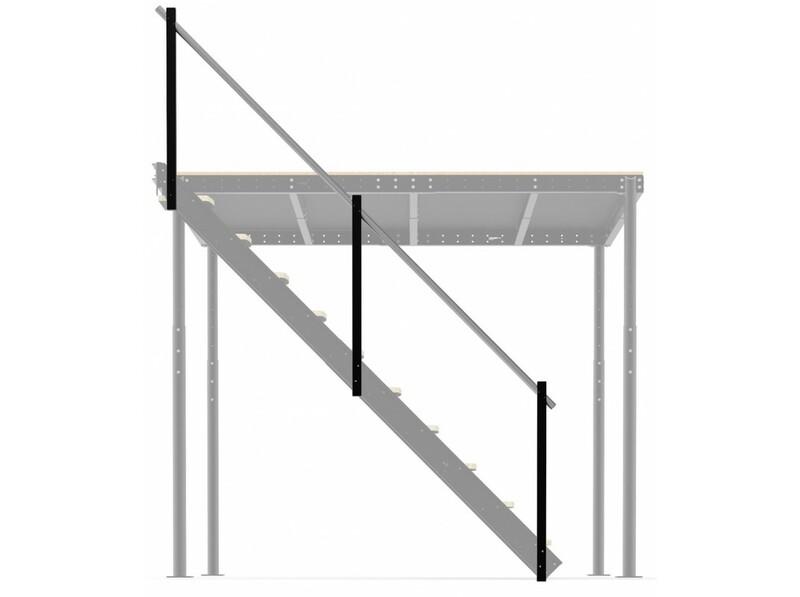 This railing flank is designed to be placed in a side of the lateral stairs S when their inclination is 45º. Metal railing with aluminium handrail. 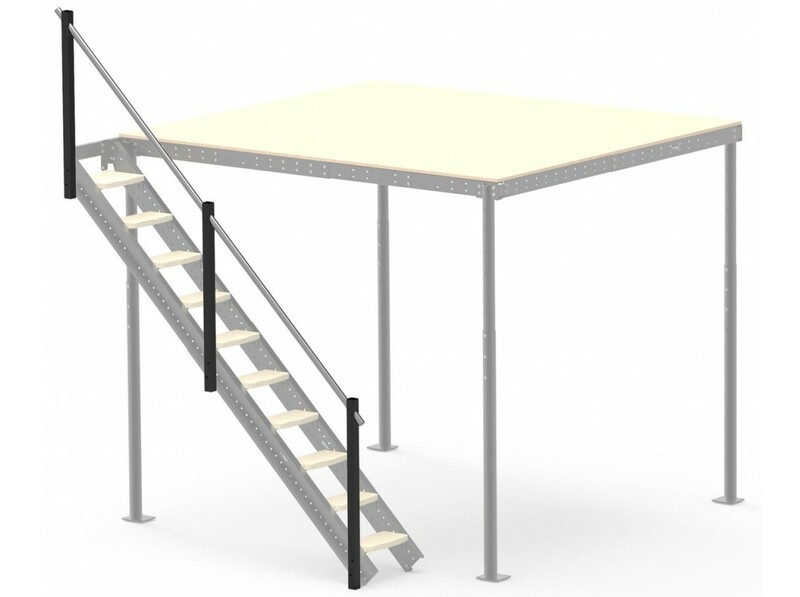 Easy to instal and totally safe. 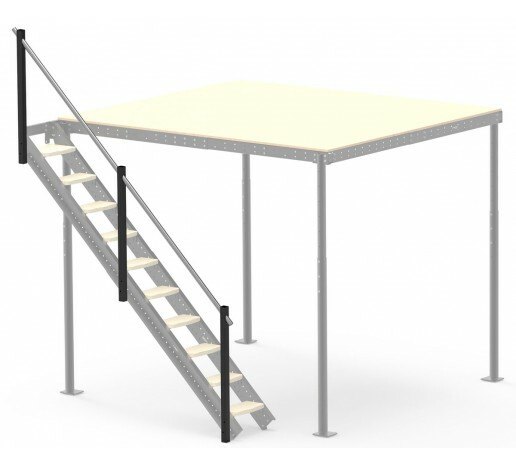 The kit includes three posts and handrail tubes. It can be located in both sides of the stairs. It includes all the required screws for its assembly.